Every business has its seasons and the fall is primetime for academic medicine and other occupations. While we are reluctant to see summer slip away, autumn brings excitement and new energy. Entering medical students accommodate to a new learning environment, seasoned students consider career selections and their Step 1 exam, and senior students are consumed with the residency match. [Above: first year medical students at lunch in July on their first day.] Similar anxieties play out for residents although the intensity and duration of years usually exceed those of medical school. Exams don’t go away in residency, for the residents and fellows contend with yearly in-service tests and ultimate board certification processes. New faculty undertake “on-boarding” processes as they step out into the mature and most demanding phases of their careers. Faculty teach and mentor intensely in the autumn and show their academic stuff at professional meetings, all while fulfilling the 24/7 demands of healthcare. Many faculty also have deep research commitments that bear the intellectual fruit we expect will make tomorrow’s health care better than that of today. Faculty, too, contend with promotion expectations, board recertification examinations, and the insane administrative on-line mandatory expectations required of them. Somehow our faculty get all this done, and done very well in comparison to other medical schools and academic health centers. The 24/7 health care cycle is relentless. Our Department of Urology provides care throughout 16 clinical sites and 9 surgical locations, held together by a first-rate administrative team with Malissa Eversole, Marleah Stickler, Kandy Buckland, Tammie Leckemby, and of course Sandy Heskett. Jack Cichon, with our inaugural Urology Chair Jim Montie, set the pace for this excellence. Monica Young leads the Call Center that, with our administrative staff, coordinated 42,041 clinic visits, with 12,639 new patients and 6,426 operative procedures for our clinical faculty last year. 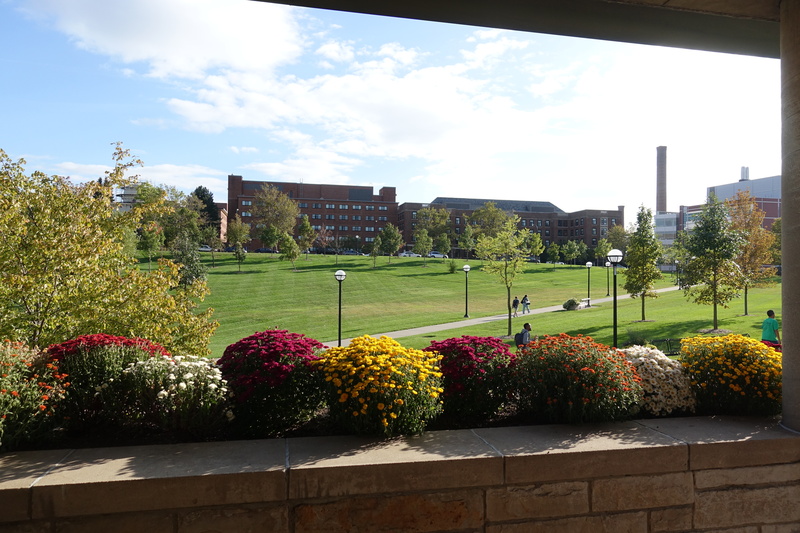 The UM health system, Michigan Medicine, is growing and changing our regional profile as well as the local environment “on the hill.” The lovely view seen below, over open space created at the old Kresge Laboratory site, will disappear when a new patient tower assembles on this site. Autumn academic meetings and the written medical literature that springs from them display much work from the faculty and alumni of the University of Michigan Medical School. Our Urology Department provides a heavy presence at all relevant urology professional meetings this season and contributes significantly to Michigan’s “academic product,” thus furthering the mission, vision, values, and strategy of Michigan Medicine. 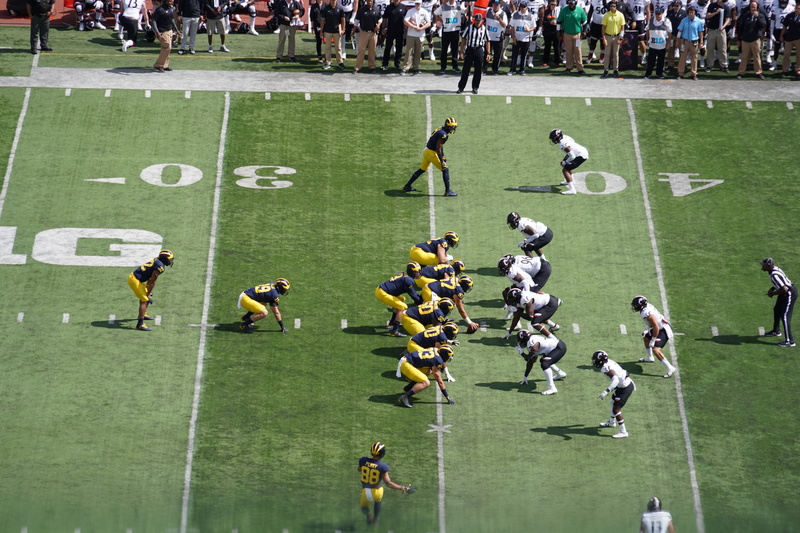 At this time of year amidst the dense shop-talk at professional meetings in medical specialty meetings, Michigan football talk enlivens conversations. 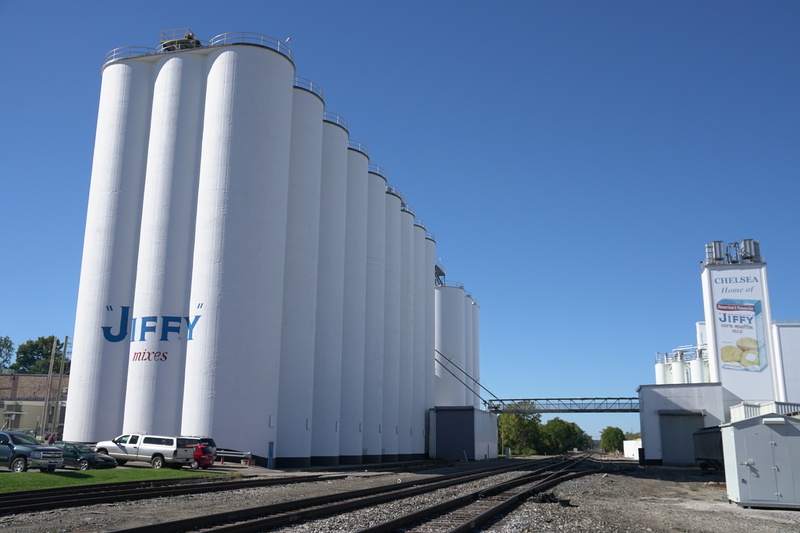 A field trip to Chelsea Milling Company last month showed us how another business stays ahead in challenging times. Autumn and winter are prime baking season, according to the company president Howdy Holmes, so Chelsea Milling’s products need to be well-stocked in grocery stores throughout 50 states and 32 other countries. Chelsea Milling has weathered many changes in its competitive markets, making Jiffy Mix since 1930 with a dominating market share in muffin mixes and entering a busy season as we do. 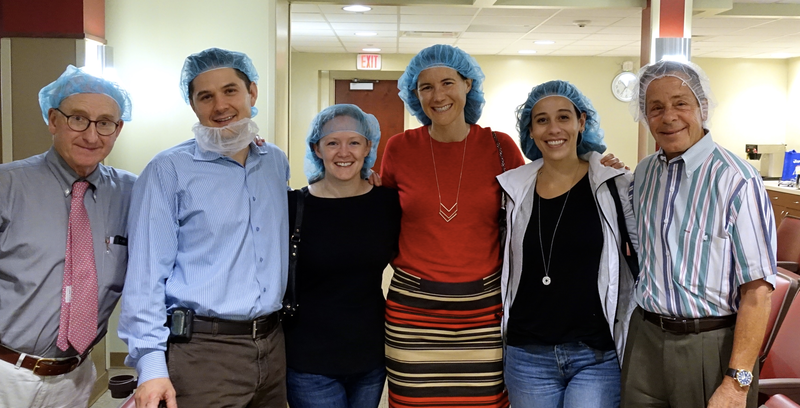 Our tour revealed constant innovation throughout Chelsea Milling in production, employee satisfaction, quality, safety, packaging, and distribution, with lessons for our work in Michigan Medicine. A strong workforce aligned around mission, vision, and values combined with enlightened leadership creates quality products, a pleasant workplace, stakeholder satisfaction, and a durable business. We found it all comes down to the team. Sports metaphors work well in business and health care discussions. Belief in teams, mutual support, practiced fundamentals, creation of plays, discovering opportunities, striving for excellence, relishing victories, learning from defeats, while educating successors, are universal attributes of successful social endeavors. Michigan’s athletic teams provide life-changing environments for thousands of students each year, and these students will bring the skills, disciplines, habits, and leadership they learn from their sports to the teams of their ultimate careers. It is a happy accident that most modern universities incorporate athletic teams along with other performance arts such as music, theater, law, engineering, nursing, pharmacy, and health care. The Schembechlarian admonition to attend to “the team, the team, the team” pertains to nearly everything we do and teach at Michigan. 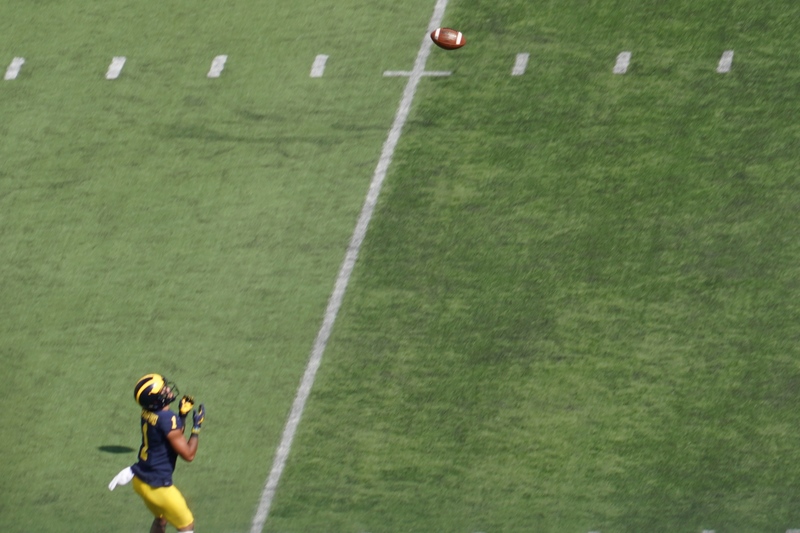 Michigan football, however, is probably our university’s most universally-acknowledged product and it brings a shine to everything else on our campus, especially in winning seasons. 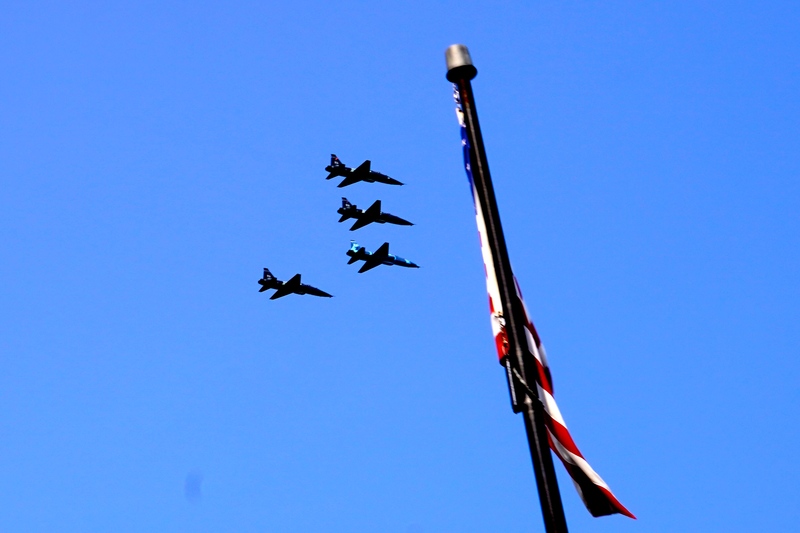 The Nesbit Alumni Society of our Urology Department links its yearly reunion to football games, this year coinciding with the victory of Air Force. Just as every profession has its rules and standards, each sport has its mores – its customs, practices, and values. Overarching the peculiarities of each sport, a sense of fair play transcends most activities, more so in college than professional sports. Fair play pertains in academic medicine as well, where each specialty and local medical center have their own cultural rules and expectations, but overarching expectations of fairness and integrity apply, thereby restricting discrimination, plagiarism, deceit, substandard work, and self-serving behavior. Breaches of trust are naturally inevitable in human society, especially when temptations are great, but this is where character is discovered. Intercollegiate sports and graduate medical residency training are excellent crucibles to discover and build character. Residency training and intercollegiate sports share many features of education, coaching, and team-building. Visiting professorships to openly share best practices among “competing” centers, however, are strong traditions in chiefly in health care. 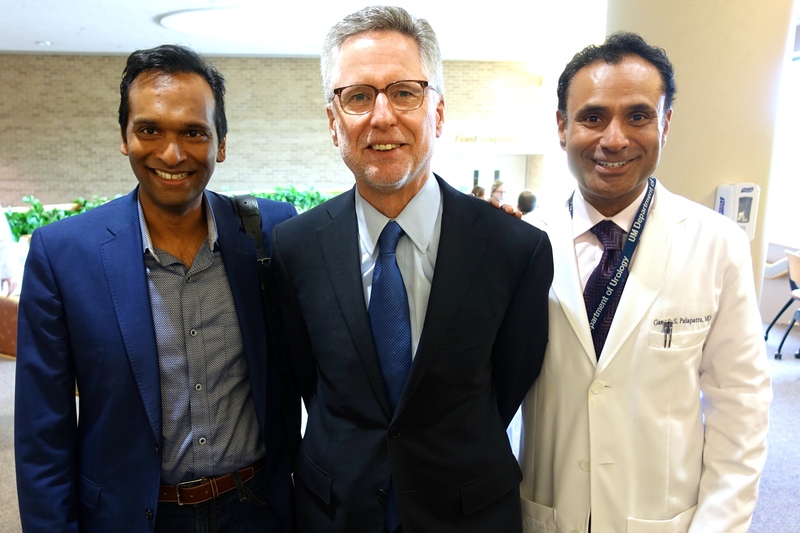 Michigan’s former chair of Internal Medicine, Bill Kelly, urged his faculty to bring in thought-leaders and innovators to their divisions each year to speak and challenge residents, fellows, and faculty themselves. This added expense of multiple visiting professors is offset by robust clinical productivity by faculty and philanthropic gifts that put dollars on the table for this type of education. The Nesbit Alumni Society Reunion took place in mid-September. Initiated in 1972 by John Konnak in honor of Michigan’s first Urology Section Chief, the Society met for three days including the football contest with Air Force. John Konnak was a bedrock of the Michigan Urology training program when Ed McGuire came as section chief in 1983. John had an MD with AOA distinction from the University of Wisconsin, internship at Philadelphia General Hospital, U.S. Public Health Service experience in Arizona, and a year of surgical residency at UCLA’s Harbor General Hospital. He came to Ann Arbor to train with Nesbit and completed the residency program in 1969 under Jack Lapides. Every resident who trained under John benefited from his work ethic, humor, and high expectations. 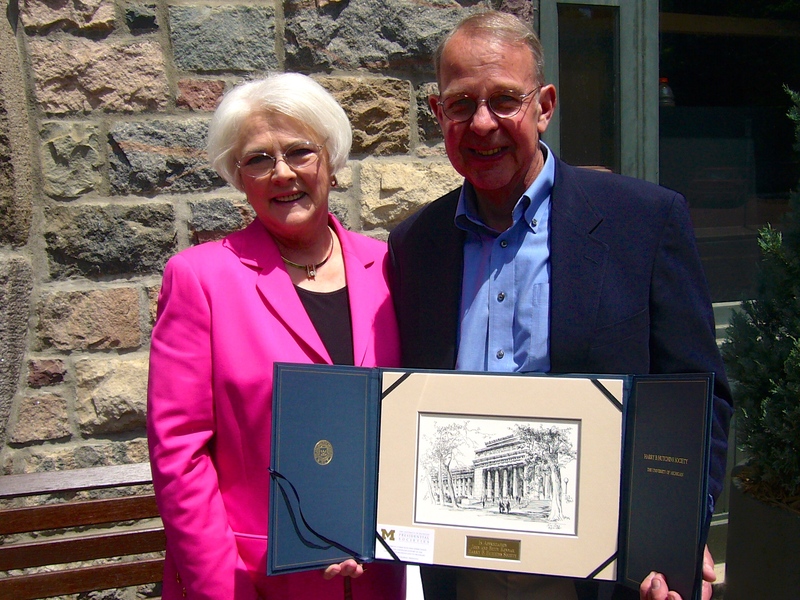 John was a respected citizen of the Medical School Community and was an early participant in Ethics Committee. 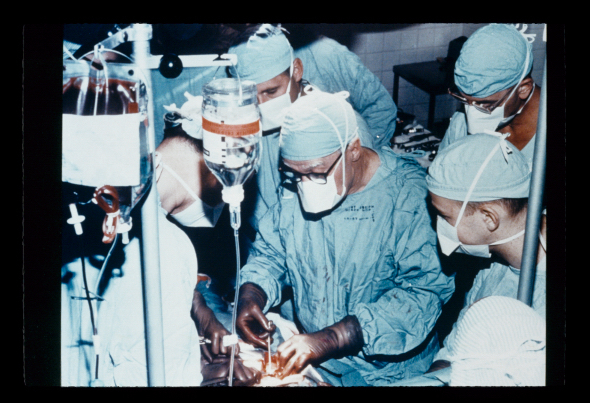 The photo of the first adrenalectomy for Conn Syndrome standing with Dr. Conn and looking over Nesbit’s shoulder in the operating room is one of the great images of Michigan Urology. John’s paper with Joe Cerny, “The surgical treatment of Cushing’s Syndrome,” remains a classic. [J. Urology 102:653, 1969] John passed away in 2011, but his wife Betty (below) remains an enduring supporter of our department and a steadfast presence at Nesbit meetings. In two years (FY 2019) the Nesbit Society meeting will kick off the Centennial Year for Michigan Urology, if we view the initiation of world-class urology practice, education, and research with the arrival of Hugh Cabot in Ann Arbor in 1920. 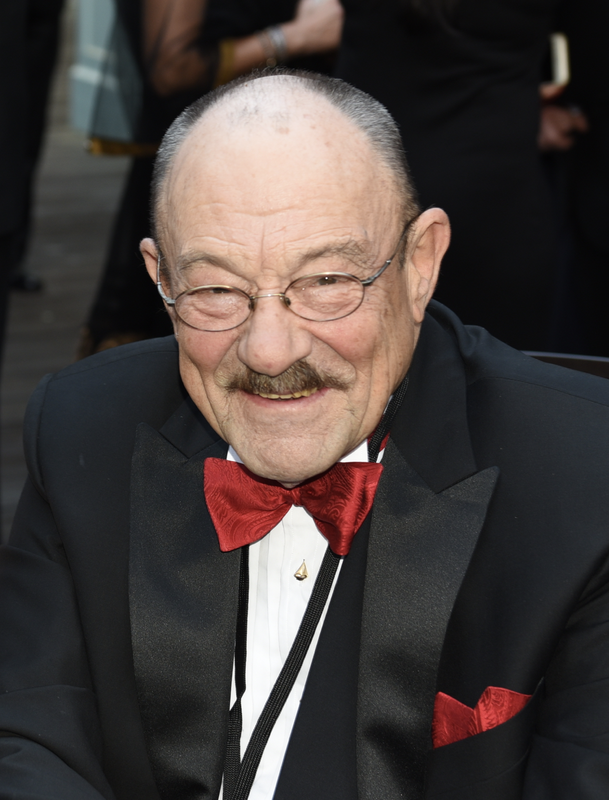 Cabot came from Boston where he had grown up, practiced surgery, and became a world-renown specialist in urology. His two-volume text, Modern Urology, helped define the field, previously known as genitourinary surgery. After overseas duty in WWI he was unchallenged by Boston’s private practice environment at the time, and came to Ann Arbor as chief of surgery in 1920, rapidly becoming dean of the University of Michigan Medical School (UMMS). His first 2 residents were Charles Huggins and Reed Nesbit. After Cabot was fired by the Regents in 1930 (“in the interests of greater harmony”) Nesbit became inaugural head of urology in the Surgery Department. Our Medical School had no dean for the next several years and was run by the school’s executive committee, although Cabot’s name and picture mysteriously remained on the Medical School class pictures through 1932, as noted here last month. Cabot completed his career at the Mayo Clinic, then led by his friend William Mayo (UMMS class of 1883), while Nesbit went on to grow the urologic clinical, educational, and research programs of the University of Michigan for the next 38 years. [McDougal et al. Urology 50:648, 1997] Although we could have been called the Cabot Society, Konnak’s choice of the Nesbit Society is the better fit. Laymen often wonder what’s the big deal about medical societies. A friend often teases me about my professional meetings he calls “boondoggles.” My introduction to medical meetings began when I was a surgical resident at UCLA and faculty propped me up for presentations to local gatherings of the American College of Surgeons in San Diego, Napa, and Palm Springs. My awkward presentations at those times are pale by comparison to the poised and self-assured presentations our Michigan students and residents give today. For a beginner, the opportunity to get one’s head around a topic, present it to the “elders” in one’s field, and respond to questions is an important step in professional development. My friend understands that healthcare is a social business. It takes teams, and today those teams are big. The knowledge and tools of healthcare evolved socially across generations through practice, discussion, observation, reasoning, experimentation, disappointment, success, insight, new ideas, criticism, refinement, innovation, and more discussion. These are the social tools of human civilization, working through mentorship, schools, guilds, organizations, and specialty practices. 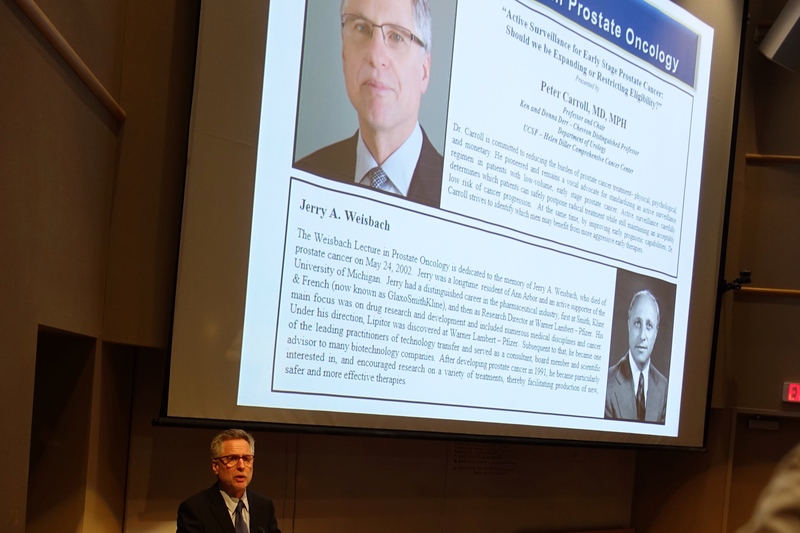 Urologic societies and academic departments came on the scene in the late 1800’s and continue to be the primary marketplaces for new ideas, leadership development, and talent spotting. 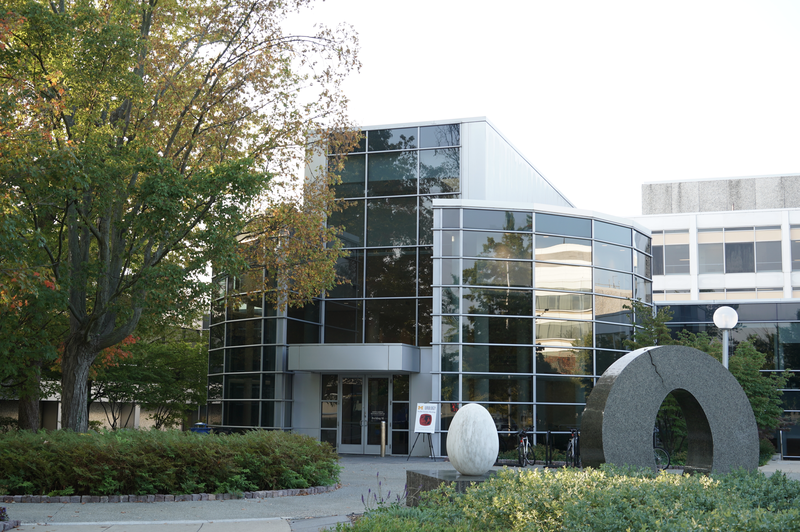 The University of Michigan’s North Campus Research Complex (above, Building 18) was the venue for the Nesbit academic sessions this year. This property was the site of the Warner-Lambert Park-Davis research center, later taken over by Pfizer. Lipitor was developed here. The company announced plans to vacate the property in 2002 and eventually sold it to UM, with clinical departments of the Medical School bearing a little under 80% of the costs, which for the purchase and deployment over 10 years was around $325 million. Since we assumed occupancy in 2010 most space is occupied, including significant urology presence with Dow Health Services Research Division, and laboratories and teams of Mark Day, Evan Keller, plus Arul Chinnaiyan and Scott Tomlins, of the Pathology Department. David Canter (below) presided over the space when it was Pfizer and recently our NCRC Executive Director. The Nesbit scientific program was superb, organized by President Mike Kozminski and Secretary/Treasurer John Wei and implemented by our administrative team. The large space at NCRC dwarfed our 60 plus attendees, but was an hospitable environment. Bob Uzzo (below with former Cornell co-resident John Wei) from Fox Chase Cancer Center gave two world class talks. Alumni networked with our present departmental faculty and trainees. Jay Hollander, above with David Harold and Len Zuckerman (Nesbit classes 1984, 1978, & 1980), donated the famed Nesbit plaster prostate models in honor of Gary Wedemeyer, who attended with his wife Nola (below). 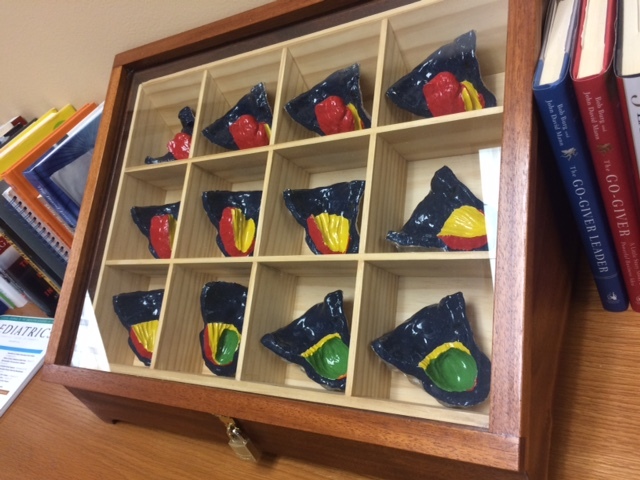 Dave, gave our department some antique cystoscopes that we hope to place in a visible time capsule for our 2020 Urology centennial, along with the Nesbit models. 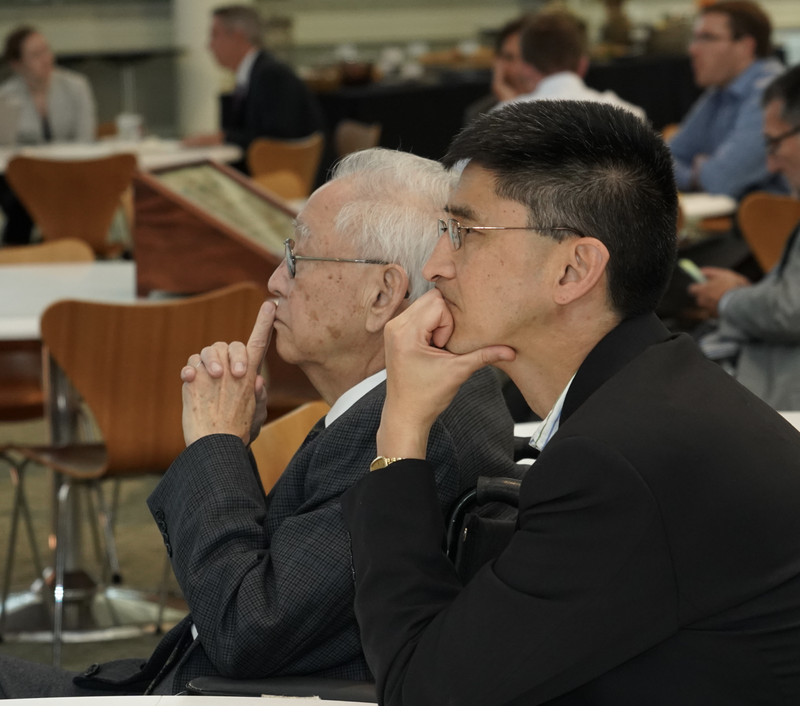 Mario Labardini (Nesbit, 1967) travelled from Texas and Tom Koyanagi (Nesbit 1970) from Japan gave excellent presentations, Mario (below) on an extraordinary historical intersex case and Tom on his innovative hypospadias operation that left a great mark in pediatric urology. Below you see Tom between Adam Walker, new clinical assistant professor with our West Shore Urology group in Muskegon, and Ted Chang (Nesbit 1996), one of his residency teachers at Albany’s urology program under Barry Kogan (Nesbit 1981). 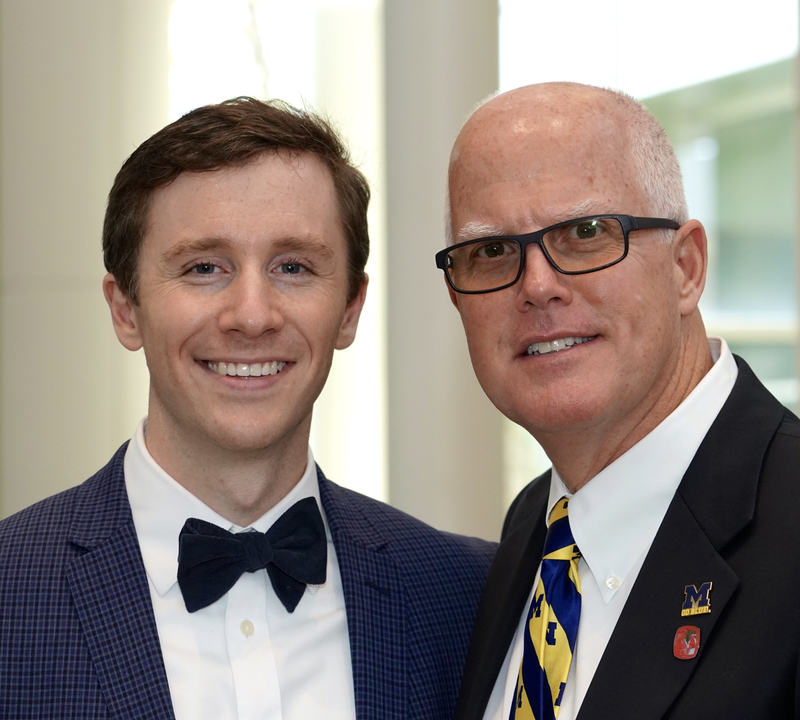 The Ted and Cheng-Yang Chang (Nesbit 1996, 1967) along with Mike and Michael Kozminski (Nesbit 1989, 2016) were our two father-son Nesbit urology pairs in attendance (below). Below you see residents and students admiring Nesbit’s teaching models and considering how different their learning of prostatic surgery is today with video systems, lasers, etc. Dinner at Barton Hills amplified social opportunities with our treasured Nesbit alumni, Nesbit lecturers, faculty, residents, and families. The Koyanagi family (below: Tom, Kiyoko, Sachi) travelled from Sapporo, Japan. Nationally and globally things are not quite so tidy and progressive as seems to be true for us momentarily in Ann Arbor. Absent any superheroes to rescue the world, my personal expectations are modest. Before you tag this edition of What’s New/Matula Thoughts as cynical, let’s consider that particular attitude and its linguistics. Cynicism is a natural human protective responsive, with virtues as well as its obvious dark side. The attitude is often instigated when people feel as though their actions cannot solve immediate problems, or if their beliefs or stories are incompatible with a larger narrative or expectations, predicaments such as George Orwell described in his later works, 1984 and Animal Farm. The theater of health care discussions in Congress is a real-world example. So too is the incompatibility of the pressing environmental deterioration of climate, air, water, and land in contrast to the much political rhetoric. A brief article in The Lancet earlier this year, “Cynicism as a protective virtue”, caught my attention. This two-page paper of 10 paragraphs took me a few readings to fully appreciate, but it was worth the effort [Rose, Duschinsky, Macnaughton. The Lancet 389:693, 2017]. The authors acknowledge rampant cynicism in the healthcare workforce is a response to the subjugation of individual agency of clinicians to care for their patients to larger forces. These externalities to the doctor-patient relationship include mandated work-flow systems, revenue generation, service metrics, and abstracted audits. Cynicism, the authors say, is “the immune response and not the disease.” As clinicians try to care for their patients they need to discover a different way to practice. “This discovery is the lived negotiation of the distance between policy and practice.” Raw and untampered cynicism, the authors note, is destructive, investing cynics in negative outcomes and leading to indifference, fatalism, and burnout. On the other hand, they suggest that tempered cynicism (e.g. 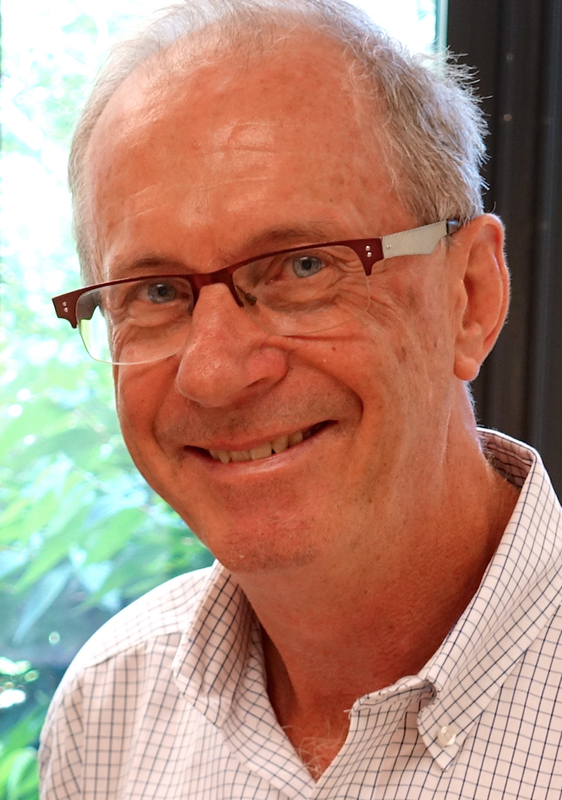 wry cynicism or thoughtful cynicism, for example) can be a strategic virtue creating a protective critical distance between the cherished personal caring and professional values, that led most people into health care professions, apart from the deforming reality of healthcare organizations and public policies. Strategically “alloying” cynicism to a thoughtful attribute can carry clinicians from the dark side to the good side, if we may evoke a Star Wars metaphor. Alloyed cynicism thus can be a self-care strategy to regain composure, humor, clarity, resilience, and collegiality. This alloyed cynic can be an intellectual superhero in the daily professional struggle against corporate healthcare. Academic Medicine is a medical journal that most urologists don’t inspect routinely. An article earlier this year from the UCSF Psychiatry Department was titled “Why medical schools should embrace Wikipedia” and explains how the medical school offered fourth-year students a credit-bearing course to edit Wikipedia. [Azzam et al. Academic Medicine. 92:194, 2017] The outcome was that 43 students made 1,528 edits and the 43 articles have been viewed nearly 22 million times. The article intrigued me as user and a believer in Wikipedia. I have always liked dictionaries and encyclopedias and treasure the authority of the great classics like Encyclopedia Britannica, Oxford English Dictionary, and Stedman’s Medical Dictionary. Rapid evolution of new information, limitations of print publication cycles, as well as the cost, storage, and rapid obsolescence made a Wikipedia-like product inevitable. The democratic nature of Wikipedia’s content limits and accentuates its authority. I occasionally get soft criticism from readers of Matula Thoughts/What’s New when I reference Wikipedia. Most people assume the classic dictionaries and encyclopedias to be more authoritative, and mostly they were. However, as a former editor for Stedman’s Medical Dictionary, I am still haunted by an error of my own in one edition. We are also aware that revisionist history, propaganda, and stereotype perpetuation existed in many authoritative definitions and narratives of the past. Although inaccurate and untruthful accounts can certainly enter Wikipedia, the crowd-sourcing nature of the readership provides a healthy mechanism for ultimate corroboration, correction, or rejection. Faculty member Khurshid Ghani, when he joined us, noticed that Wikipedia had no entry for Reed Nesbit, so he set to work to create one that still stands. We should have more interaction with Wikipedia, perhaps creating a dedicated urological section that might rightfully appropriate the name WikiLeaks. Health care worldwide needs superheroes, but for now we can only turn to comic books for inspiration. Superman, the first larger-than-life figure in my memory, was introduced with the inaugural issue of Action Comics, 1938. 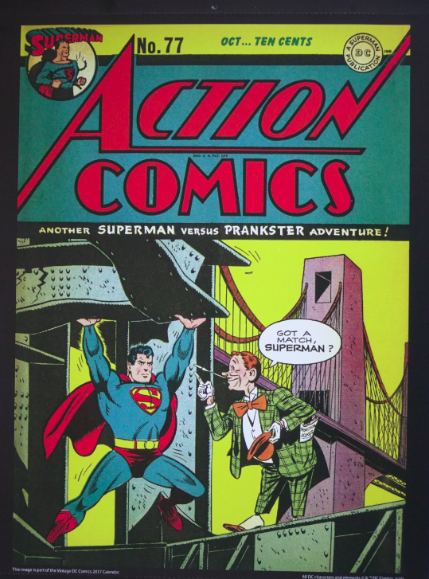 Superman is shown above with Prankster who had no actual super powers, but used pranks and jokes to commit crimes and foil superman. [Action Comics 1 (77) October, 1944. Cover artist Wayne Boring.] This is ancient ploy was revisited in a book by Paul Woodruff called The Ajax Dilemma: Justice, Fairness, and Rewards [Oxford Press, 2011]. Ajax, the superman of his Greek army, legend tells, was superseded for ultimate honors by King Agamemnon in favor of Odysseus who used clever tricks (e.g. the Trojan Horse) to win the day and capture Troy. The rejection drove Ajax, “the soldier’s soldier,” to self-destructive cynicism and insanity. The actual superheroes in my adult life are more in the mold of Odysseus as a great intellect and leader; Lincoln, Churchill, Eisenhower, E.O. Wilson, and Don Coffey to name a few. The last two, as great scientists transcend science as humanistic thought-leaders. Lacking any superheroes as of today in health care, I guess it’s up to us to make things better. 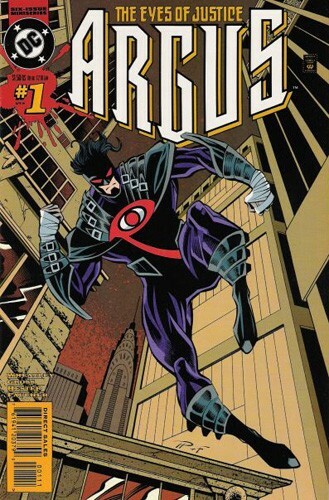 Argus, a lesser-known superhero in DC Comics, first appeared in 1993. This character was named after the many-eyed giant of Greek Mythology. The “eyes of Argus” was an expression that conveyed the idea that one was always under scrutiny in the real world as in the mythological world. That is, if your integrity and character waivered at any moment, to know that society was watching you, just as Argus watched his fellow mythological superheroes. Argus Panoptes, the giant of 100 eyes, was always on the alert because he could let many of his eyes sleep at any time, but the rest were wide open. Argus was the servant of Hera and she commemorated him in the peacock’s tail. 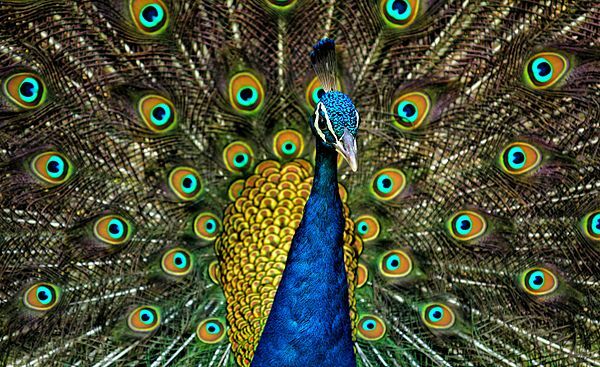 [Below, Indian peacock, Wikipedia.] Argus persists as a name in a number of reptile species with eye-like patterns and it was once a popular name for newspapers. Wiki comes from a Hawaiian term for “quick.” Perhaps the better term for Wikipedia would be Arguspedia or the Argus Compendium. Cynics might say that nothing is new under the sun, a statement discounting both the promise of innovation and the value of history. It’s hard, for example, to reconcile that statement with photography where the technology has changed drastically. For me the shift from negative and slides to digital had the greatest impact. It was midway through 2006 when I belated entered the digital world. All my pictures up to then are in boxes of negatives, slides, and prints in the office and at home, impossible to totally reconcile in terms of inspection and conversion. Innovation is relentless and the century and a half since the daguerreotype has seen innumerable changes in equipment and media. 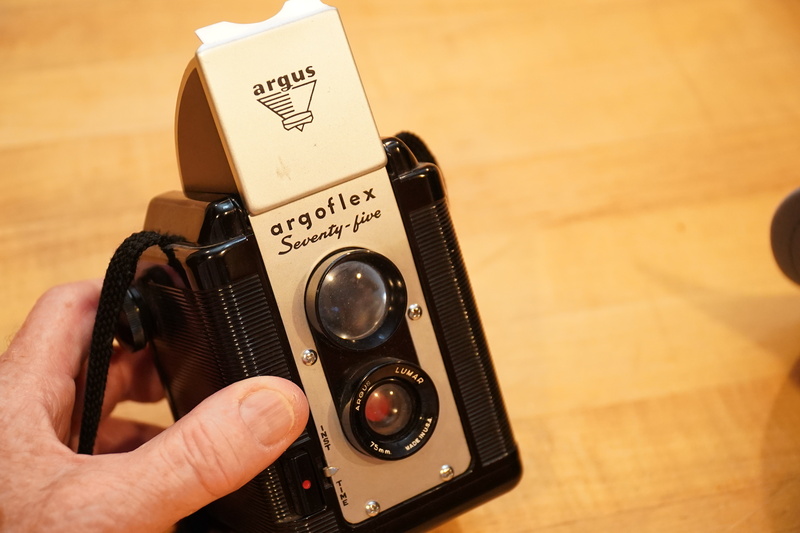 Ann Arbor has its own history of photography with the Argus Camera Company, founded here in 1936 as a subsidiary of the International Radio Corporation. The Argus C3 rangefinder had a 27-year production run and was a best-selling camera of the time in the United States. Argus was sold to Sylvania in 1959 and then generally slipped from sight, with occasional and transient rebranded products. The Argus building complex was sold to the University of Michigan in 1963 and then again in 1983 to First Martin Corporation and the O’Neal Construction Company that reopened it in 1987 with an Argus Museum now on the second floor. The museum has been generously assembled and funded by Bill Martin and Joe O’Neal, principals of the companies. The Argus Model A, created and introduced in Ann Arbor in 1936 is said to have been the first entirely American made 35 mm camera. Visually resembling the iconic Leica camera, the Model A cost $9.95 and 30,000 were sold in the first week according to The Argus Museum, a lovely exhibition area in the second-floor lobby of the Argus Building Complex. While there you can find some key UM entities including Michigan Radio, a research division of our Department of Radiation Therapy, and Michigan Create. The International Radio Company that made the Model A had been established here in 1931 by local businessmen under the lead of Charles Vershoor as a countermeasure to the Great Depression and the main early products were table and floor radios, the Kadette and the International, as well as the first mass-produced clock radio conversion kit for cars. With the success of the Model A the company changed its name to the International Research Corporation and in 1938 introduced the Model C camera. The C2 and C3 followed, the latter becoming known as The Brick. More than 2 million bricks were sold over the next 28 years. A 1947 patent design for a twin-lens reflex was the basis for the Argoflex (Argoflex Seventy-five – above). The company name changed to International Industries Incorporated in 1941, Argus Incorporated in 1942, and Argus Camera in 1949. Production shifted to gunsights, tank periscopes, optical fire control devices, and electronic aircraft controls for WWII and the Korean War. A company newsletter, much like What’s New and Matula Thoughts achieved wide distribution in the 1950’s. Argus cameras were seen in movies including The Philadelphia Story (1940), Watch the Birdy (1950), Smokey and the Bandit (1977, 1980), and Harry Potter and the Sorcerer’s Stone (2001), as well as TV shows such as I Love Lucy, Gunsmoke, Leave it the Beaver, Gilligan’s Island, and Columbo. This rich trove of information comes from the Argus Museum, created around the Don Wallace collection by Bill Martin and Joe O’Neal, now managed by the Washtenaw County Historical Society.